All rides leave Canada Olympic Park McDonalds - 8235 Bowridge Cres NW (unless otherwise noted below) at 10am. There is a Petro Canada and Shell gas station close by - so have a full tank of gas prior to departure. April 28 - Spring has Sprung - Season Opener Day Ride. COP 10am. Opening milage will be taken on this ride. May 8 - Mid week Ride to One Broken Biker Bike Night - Okotoks Big Sky BBQ - meeting point to be determined. May 17-20 - Annual Ride to Creston, BC. This is the 29th year for this ride! Enjoy camping and ride some of the best roads around. Fish and Chips are awesome too! Meet at Riverbend Tim Hortons, 8338 18th Street SE - Sidestands up at 9am for this ride, please be ready with a full tank of gas upon departure. July 10 - "Get yer Kicks at Licks" - 7pm midweek ice cream fix! Licks Leavitts Ice Cream 3410 3 ave NW. 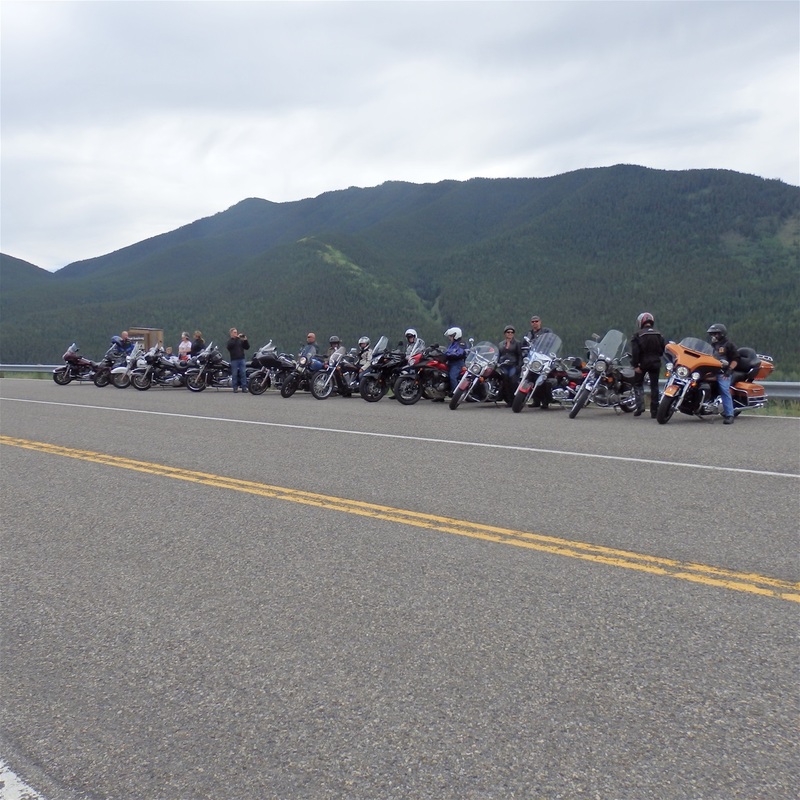 July 28 - Chain Lakes/Nanton Day Ride. Lunch at Chain Lakes weather permitting (at the food shack) COP 10am. August 4 - Rider Choice Day Ride - COP 10am and riders decide destination for the day. August 17- Saturday CMC Ginormous and Colossal BBQ at Laura and Woodie's Drumheller property - if you plan to camp, you will need to reserve a campsite. HooDoo RV Resort and Campground. October 6 - Check out the "Fall Colors". But not until you've had your breakfast! Meet at Perkins 3022, 23 street NE at 9am. Ride to follow. FYI - There will once again be a photo contest this riding season. The catagories are Humor, People, Bike, and Scenery. Photo's must be taken on a motorcycle ride during the 2019 riding season. (not a non-motorcycle trip or vacation) Photo's must be submitted to Wade no later than the November 6th meeting. There will also be the usual High Milage and Hard Luck awards to be given out at the End of Season celebration.